The scenography department questions the way the issues of space and (re)presentation cross over into various fields of contemporary creation. Classes within the Scenography Department are structured around three axes: Scenic Spaces, Museography– Expography and Urban Practices. 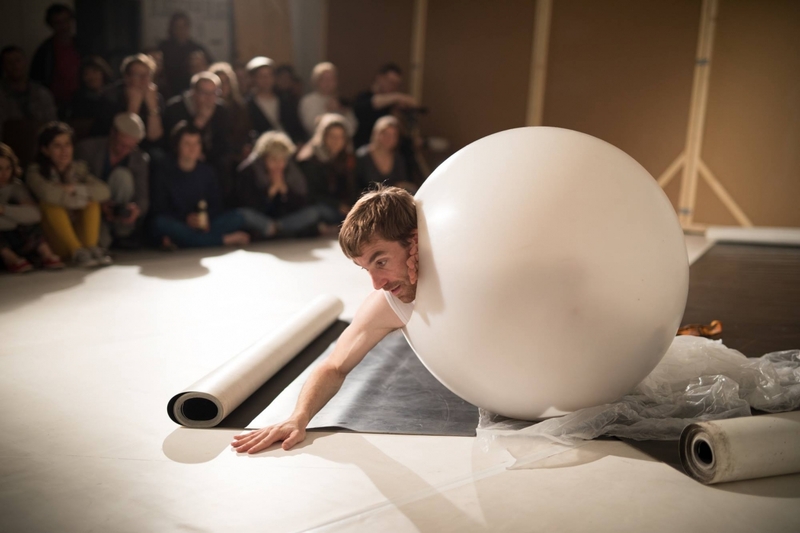 Although the theatre remains the structural axis of the classes, students often quit conventional performance spaces in order to question and practice what, in virtual urban spaces but also in contemporary art and the museum, is an active field of theatricality. Admission following a multidisciplinary first year in the school, or else present your work to a transfer committee in years 2, 3 and 4. The scenography department questions the way the issues of space and (re) presentation cross over into various fields of contemporary creation. 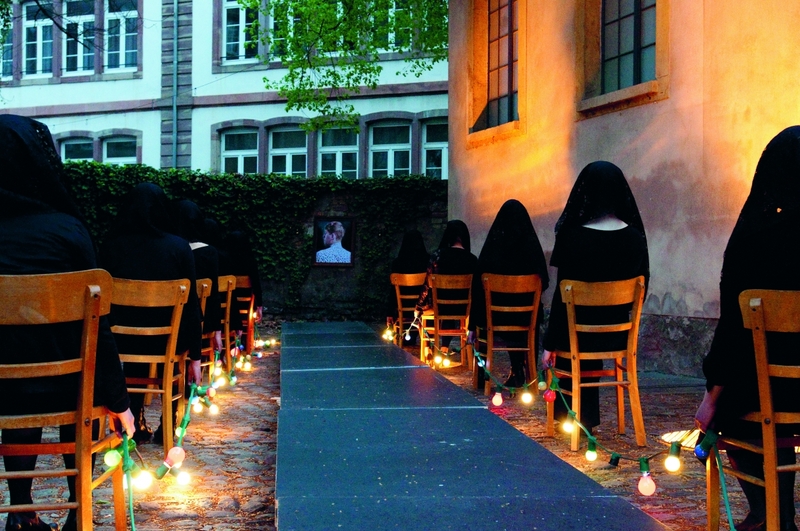 Although the theatre remains the structural axis of the classes, students often quit conventional performance spaces in order to question and practice what, in virtual urban spaces but also in contemporary art and the museum, is an active field of theatricality. 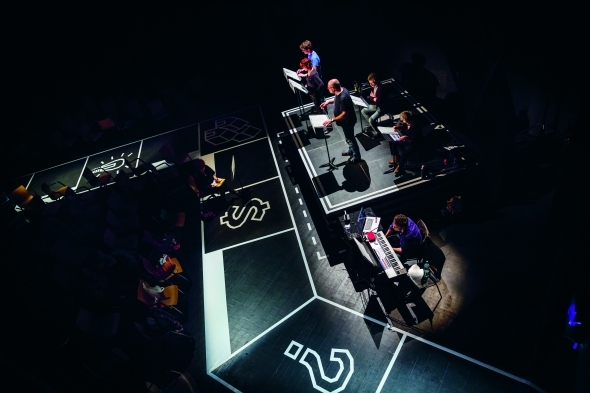 As it is based in an art school, the teaching of scenography at HEAR is trans-disciplinary, in regular interaction with other artistic and musical practices. The workshop develops authorial viewpoints that are unusual or atypical. The graduation diploma is thus a rare opportunity to initiate projects outside the existing codes of (re)presentation and to freely experiment with issues related to spaces and fiction. Classes within the Scenography Department are structured around three axes: Scenic Spaces, Museography– Expography and Urban Practices. In years 2 and 3, students learn about these diverse areas before selecting a more specific field in years 4 and 5, to obtain the DNSEP/Master’s, alternating between theoretical and artistic research, with a link to the professional world. Set design is historically located in the theatrical field: the history of decor, place as a device for looking, the relationship between stage and audience, between actor and spectator, dramaturgy, etc. 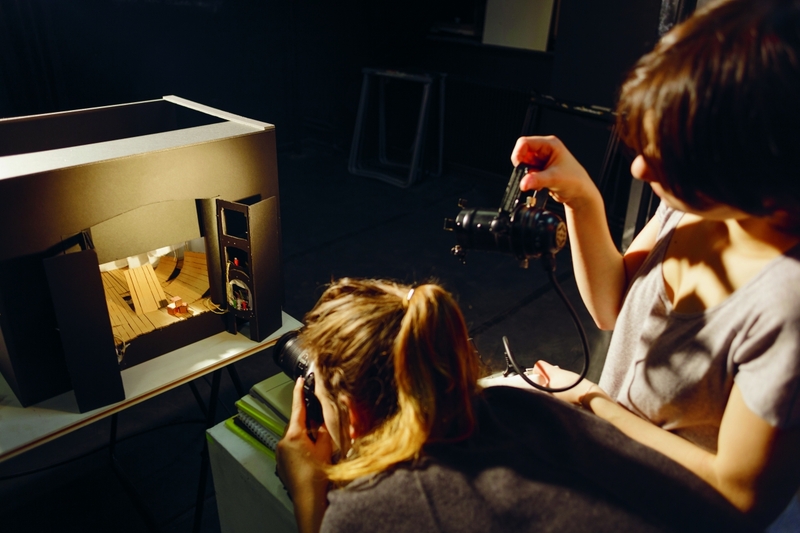 In addition, set design involves a creative team: actors, a director, a lighting designer, sound, etc. Students confront and experiment with all these dimensions, through partnerships with theatres, workshops and group projects. Fictionalizing an exhibition involves the encounter of the works, the context and the scenario chosen to be created. Movement, framing, light, sound space, the relationship between the viewer and the perceived object, are syntactic elements the set designer seeks to convey as accurately as possible with regard to the text inherent in each object and act presented. The workshop addresses the standardization of museum thinking and approaches exhibitions in indoor places but also in public space. starting with people’s flexible practices, which do not always correspond with citizenship criteria, the usual approaches to the city and the classifications of much of the work of urban planners. The city is considered as an artistic territory, an area of permanent or event-based expressions in which scenography becomes urban. Because the world is the stage on which artists play, the workshop’s scenographic approaches relate to a global and multipolar space. Confronting students with the practical differences of points of view in terms of territorial and cultural positions is a central principle for considering their answers to the challenges of today’s world. Thus, the research program Play›Urban, in collaboration with the Wits School of Art in Johannesburg (South Africa) and in connection with the scenography workshop of La Cambre — Brussels, experimenting with conceptual and visual tools (art, philosophy, anthropology, sociology, urban research, etc.) in order to intervene as an artist immersed in the urban contexts of a globalized world. How do artistic devices operate in daily life practices and the occupation of space, how do they function, how do they move? Links with the professional world are fundamental in order to effectively register teaching in the reality of practice. Throughout the student’s curriculum, active partnerships (theatres and exhibition centres) lead to internships and meetings with guest artists. HEAR currently has more than 100 partner institutions, of which several welcome Scenography students. South Africa: Wits School of Art, Johannesburg • Germany: Kunsthochschule Berlin Weißensee et Staatliche Hochschule für Gestaltung, Karlsruhe • Austria: University of Art and Design, Linz • Belgium: La Cambre, École nationale supérieure des arts visuels, Bruxelles • Canada: Université du Québec à Montréal • Estonia: Estonian Academy of Arts, Tallinn • Hungary: Hungarian University of Fine Arts, Budapest • Italy: Accademia di Belle Arti, L’Aquila et Accademia di Belle Arti di Brera, Milan • Latvia: Latvian Academy of Arts, Riga • Switzerland: Academy of Art and Design, Bâle et Zürich University of the Arts.